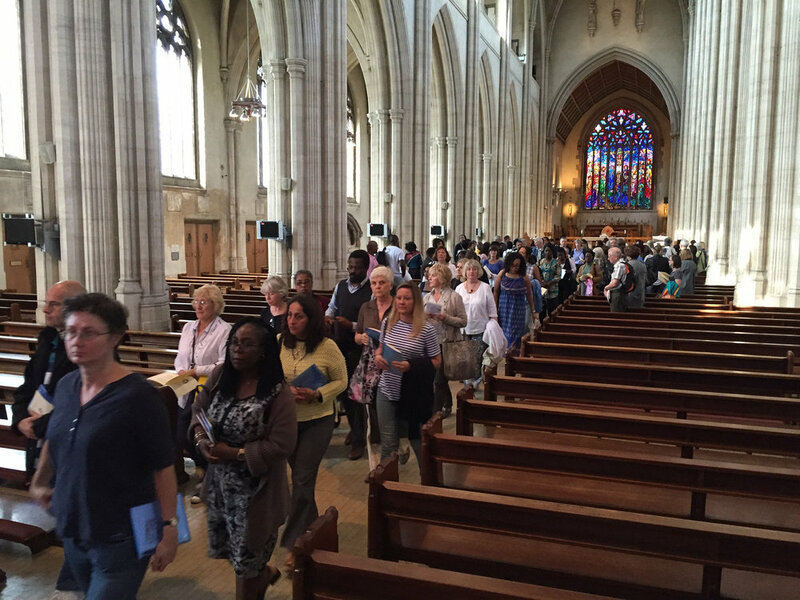 A major event in the CCF calendar is the annual diocesan day for catechists at St George's Cathedral. Now held each September, this event brings together those involved in sacramental preparation and the Liturgy of the Word for children for study, prayer and commissioning. In addition to the day for catechists, the CCF also runs various study days on different themes and for certain groups. If your deanery is interested in hosting something similar, please get in touch. Coinciding with Pope Francis’ year of mercy jubilee day for catechists, the Metropolitan Cathedral Church of St George and Amigo Hall played host to the annual diocesan Day for Catechists (24 September 2016), organised by the Centre for Catholic Formation (CCF). 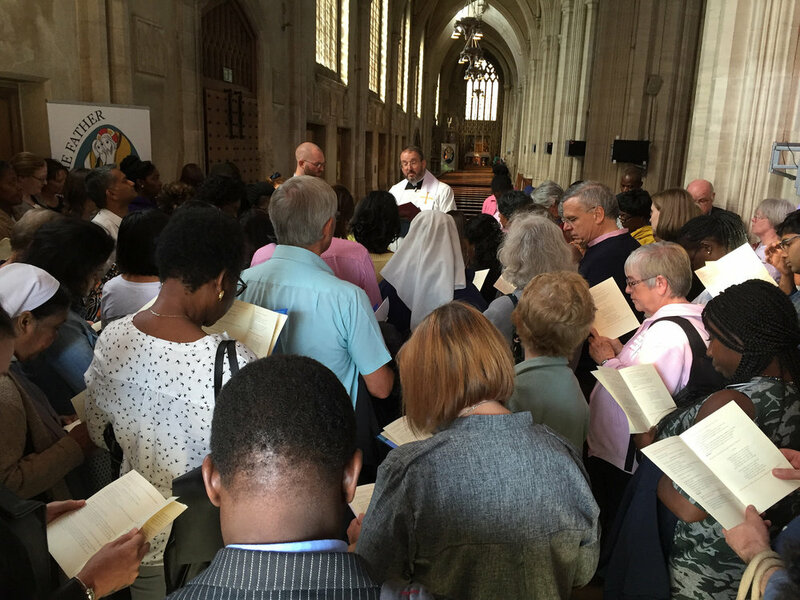 It was the fourth such annual day, the first to take place in September, and it attracted almost 200 people from across the diocese who are involved in sacramental preparation, the RCIA and the Liturgy of the Word for Children. In a departure from previous years, instead of a keynote address, the gathered catechists took part in the Cathedral’s Year of Mercy Liturgy which included a procession through the Jubilee Door of Mercy, adoration and the Sacrament of Reconciliation. After lunch, and time at the bookstalls provided by the Catholic Truth Society and the CCF, participants broke into workshop groups to explore fresh ideas and methods for their ministry in the Church. Advisers from the Centre for Catholic Formation, the Education Commission and teams from elsewhere in the diocese provided sessions on baptism, reconciliation, marriage, post-Confirmation resourcing, the home, school, parish relationship and children’s Scripture study to name but a few. A session was also facilitated by the School of the Annunciation who will be collaborating with the CCF in delivering the new Diocesan Catechetical Certificate (DCC). The day culminated with Mass, celebrated by Archbishop Peter Smith, at which an agreement was signed by Fr Guy de Gaynesford, from the School of the Annunciation, and His Grace. After the blessing a short service of commissioning took place where the catechists were sent out to cooperate with the Archbishop in his role as the chief catechist of the diocese. 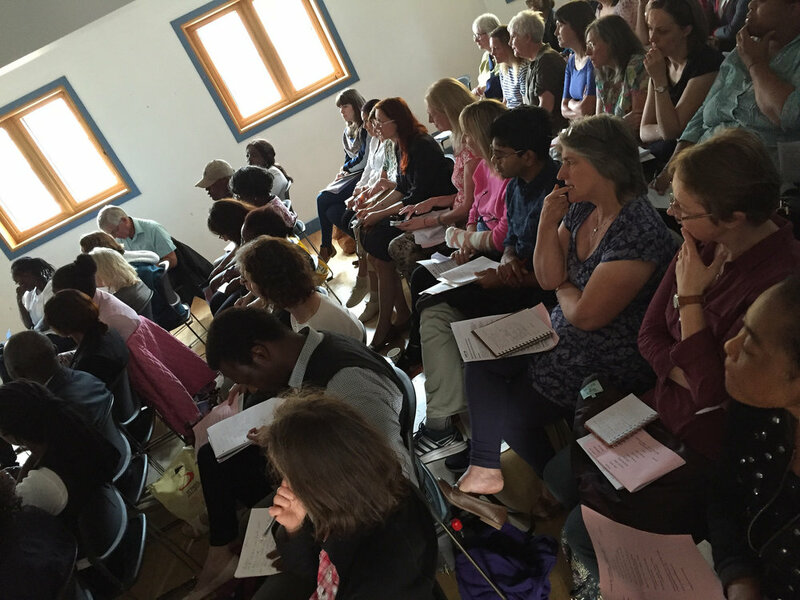 On Saturday 11 June 2016, 57 parish catechists and those interested in sacramental preparation gathered for a study day at the Centre for Catholic Formation. The attendees, from each of the three areas of the diocese, some experienced and some new to catechesis, enjoyed lectures on the vocation of the catechist and the relationship of the sacraments to Christian living. After a shared lunch, the group then had a whistle-stop tour through the different areas of sacramental preparation starting with the Rite of Christian Initiation of Adults, a model for all catechesis in the Church, Baptism preparation, first Holy Communion and Reconciliation and Confirmation. This section ended with a look at the Liturgy of the Word for Children, not strictly catechesis but a liturgy in which the Word of God is broken open for the children in our parishes. The Centre for Catholic Formation, Tooting Bec, hosted a successful study day on Saturday 30 January exploring the meaning and implications of the Jubilee Year of Mercy. There was a large number of interested attendees, which enabled fascinating discussions to take place and thoughtful questions to be explored. The day was opened with a time of prayer and reflection. Pierpaolo Finaldi (formation adviser for the South-east London area), in his lecture, explored the meaning of a Jubilee Year, what the Church is asking of us in this special time, and the Jubilee Year’s origins in the Old Testament. Sebastian Morello (formation adviser for the South-west London area) delivered a lecture on the theology of divine mercy. 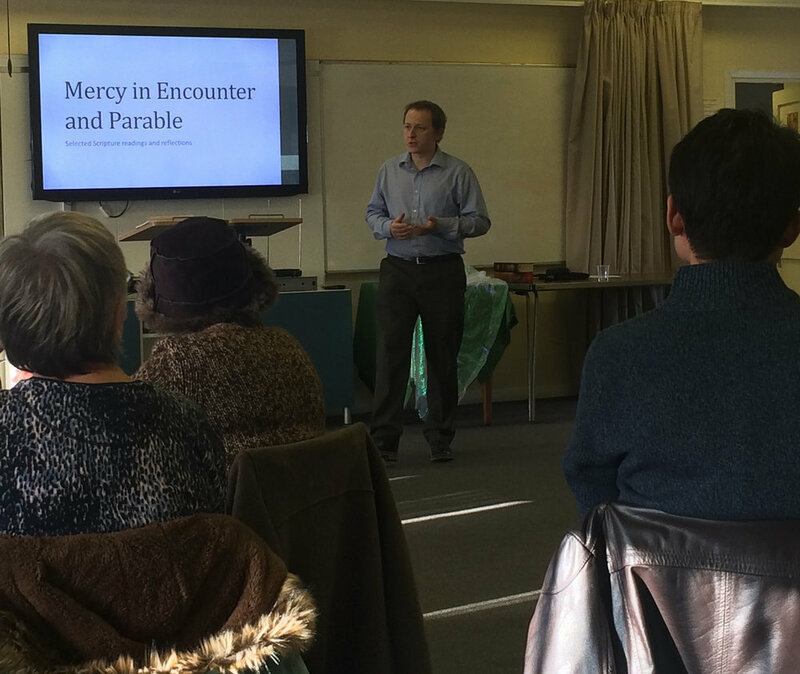 In the afternoon Mark Nash (formation adviser for Kent) delivered a workshop on encountering divine mercy in the Gospels, followed by a second presentation by Pierpaolo on the spiritual and corporal works of mercy. The day was brought to a close with a second period of reflection and prayer. The event was much appreciated by the attendees, and many have asked for the talks to be repeated in their parishes. The offer of similar talks and workshops on mercy, and training or input on other themes, is extended to all parishes, schools and deaneries in the diocese. Those interested in booking talks and training should contact the Centre.